This brothy dish tastes and smells like you've simmered it all day. This brothy dish tastes and smells like you've simmered it all day. Here, mushrooms combined with miso and pine nuts create an earthy healing dish. Lovage leaves add piquancy to this dish. 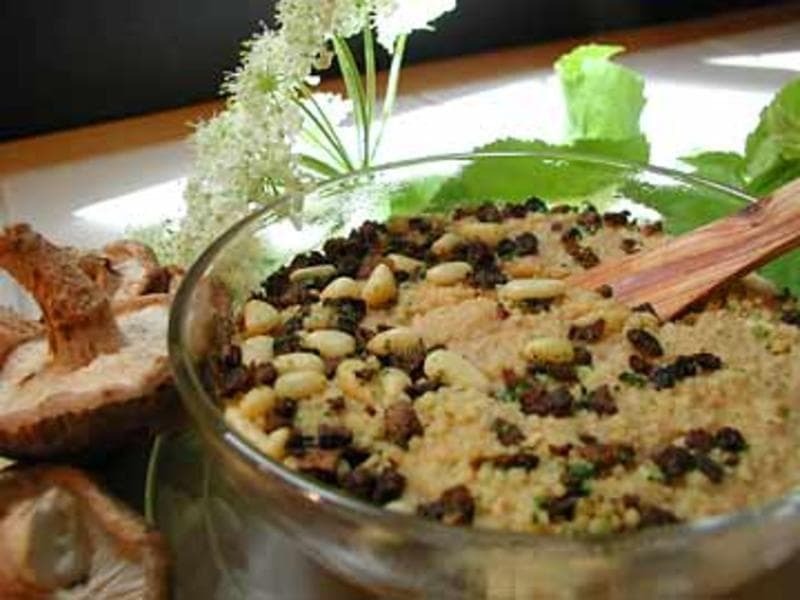 Organic Couscous, Organic Powdered Soybean Miso, Organic Pine Nuts, Organic Oyster Mushrooms, Organic Shiitake Mushrooms, Organic Garlic, and Organic Lovage.